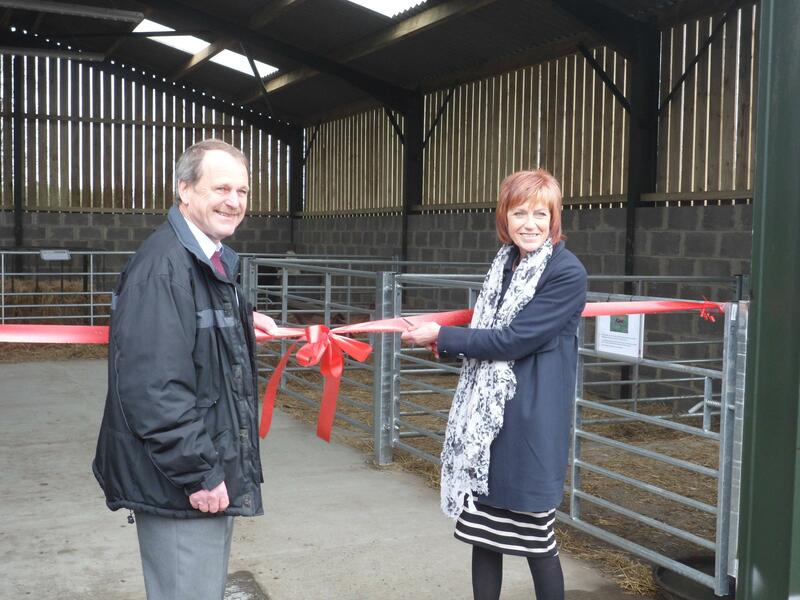 Friday, 12th April saw the Grand Launch of our new Animal Husbandry, Activity and Practical Learning Unit and Changing Places facility. The Animal Husbandry, Activity and Practical Learning Unit was funded by Leader (Coast Wolds Wetlands and Waterways) and was built by Denys, our clients and volunteers. Alongside the building work, our clients completed an Entry Level 3 OCN in Building and Construction. It is now home to the ponies (Earl and Tinker), the sheep (Maureen and Janet and their lambs; Frank, Chesney, Claude and Clarence), the pigs (Percy and Ginger) and the cattle (April, Ted and Jenny). As well as housing the animals, the building will be used for animal therapy. The Changing Places facility was funded by The Sensory Trust, LEAF, NHS East Riding of Yorkshire, the Rotary Club of Hornsea and East Riding, and the Hornsea Cottage Hospital League of Friends. 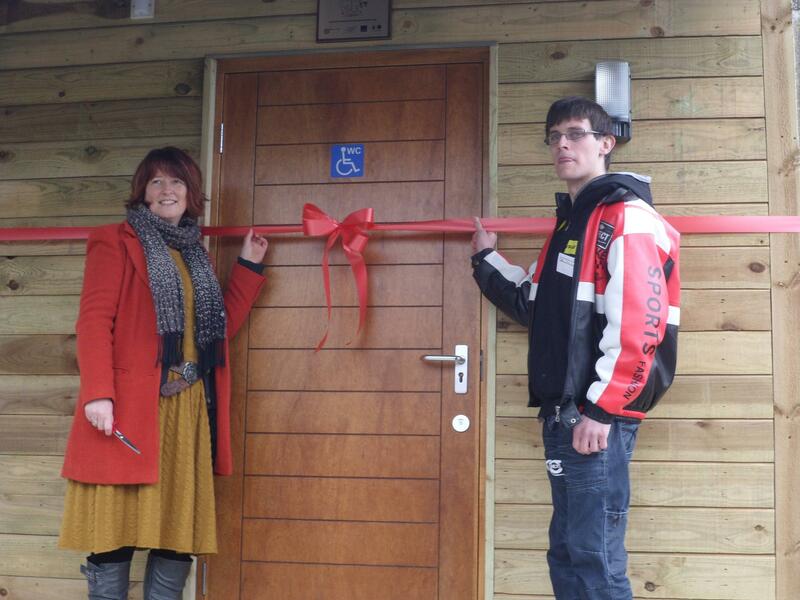 It will provide toilet and changing facilities for people with profound disabilities whilst visiting the Farm. The day dawned very damp and dreary but this didn�t spoil what turned out to be a very enjoyable day for everyone. 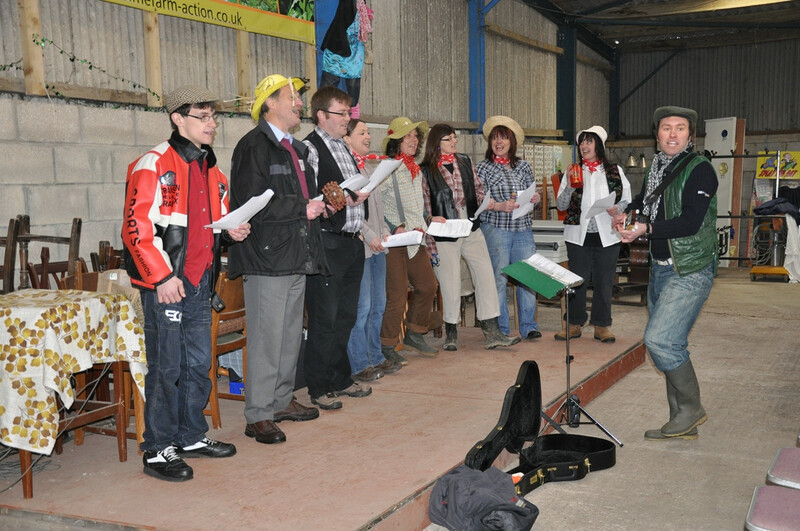 Denys opened proceedings by welcoming everyone to Densholme Care Farm. This was followed by a presentation of a cake to The Granary of Brandesburton, who have been coming to the farm for 5 years. We then heard from Kyle Winter about his experiences as a client of the farm, and Dr John about his volunteering role. The grand openings were then performed by Cllr Jane Evison (Animal Husbandry, Activity and Practical Learning Unit) and Jane Stoneham (Director of The Sensory Trust) who opened the Changing Places facility. Next everyone enjoyed a tour of the farm, followed by a performance by the newly formed Densholme Farm Choir, who entertained with �Whose Pigs are these?�, �Morning Has Broken�, �Te Aroha� and �I�ve Got a Brand New Combine Harvester'. The buffet was then declared open and everyone enjoyed the food provided by the Wrygarth Inn, whilst watching the woodcarving demonstration by Al Stichler, www.stichler.co.uk. The beautiful floral displays were created by Abi from Bohemia Floral Design, Southgate, Hornsea. A big thank you to Brian of The Gazette for coverage of the event and for all his support in the past. Lastly, but not least, thanks to everyone who attended the event and helped us celebrate!